Practical car shoppers looking to manage their vehicle costs can find savings in a used fuel-efficient model at Coast to Coast Motors in Houston, TX. Not only will shopping used help to keep the purchase price in check, whether shopping for a gently used model that’s only a few model years old or an older model with a few miles on it, but shoppers can find increased savings when they narrow their field even further to a used model with great gas mileage. A higher fuel economy can help keep vehicle costs in line over the course of the vehicle’s lifespan with cost savings every week at the pump. Currently, there are 130 used models in the Coast to Coast inventory with fuel ratings of over 30 miles per gallon combined. So, no matter what kind of vehicle you have your eye on, Coast to Coast should have something that fits your needs. Use the link below to browse our current used fuel-efficient lineup or give us a call at 888-418-8517 and let us know exactly what you are looking for. While the best way to shop our current inventory is in person with the help of one of our team members, car shoppers also have the option of browsing the current Coast to Coast Motors inventory online using our easy-to-filter online search pages. 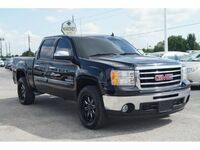 To see the current used inventory, click the Inventory link on the Coast to Coast Motors homepage. From there, filters on the left-hand side of the page make it easy to search for a model that fits your needs. Adjust the pricing, model year, body style, vehicle color, and more and our system will quickly filter through our models showing you only options that match your criteria. If you find a model that catches your eye, give us a call or visit in person to schedule a test drive appointment. We will have your model ready and waiting for your arrival so you can hop right into the driver’s seat for additional hands-on research. Our team is always available during normal business hours to answer questions about specific models or walk you through our purchase and financing processes. We are a buy here, pay here dealership with affordable rates and we would love to help you make your dream of car ownership a reality. Interested in a Used, Fuel-Efficient Model?